MaRS Discovery District is an information technology services company which provides Incubator, Entrepreneurship Education, Accelerator, Startups, and Systems Change. MaRS has announced a partnership with Natural Resources Canada to launch the Women in Cleantech Challenge. The moves signal Google’s growing interest in the employment sector and the expansion of its search functions. With this partnership MaRS and Greentown Labs will offer workspaces in their respective regions. Partnering with Grand Central Tech, MaRS will launch MaRS@GCT, offering support services and physical workspace to Canadian companies in New York. Yung Wu, a pioneering entrepreneur and serial investor, will be the new CEO of MaRS Discovery District, the board of directors announced today. Wu will start at MaRS on November 1, 2017, the culmination of a global search to find a successor to outgoing CEO Ilse Treurnicht. Wu is chairman of NFQ Ventures, an … Continue reading "Yung Wu named new CEO of MaRS Discovery District"
More than 40 per cent of jobs could be wiped out in next 10 to 20 years, on par with what happened during the Great Recession. Why Nudge.ai? Reach out to the decision makers at MaRS Discovery District with a personalized email - let them know that you found their recent news mention interesting. Nudge.ai’s relationship intelligence platform can help you find the right executive to reach out to at MaRS Discovery District, such as Yung Wu, Chief Executive Officer, or Ilse Treurnicht, Ceo. Then get in touch and start a conversation. Mehbs Remtulla Founder & Ceo, Gearshifting Inc.
Executives can be difficult to reach, but every company has connectors who bring together people and ideas. At MaRS Discovery District, people like Yung Wu, and Ilse Treurnicht are likely connectors. Congratulations to Toronto-based @Lendified for closing a $15 million funding round. Tomorrow is the deadline to apply for a pair of free tickets to @CollisionHQ , North America's fastest-growing tech conference. Take a visit to MaRS on May 3 for a morning talk and Q&A with @newtopia 's CEO Jeff Ruby. Tickets are free — register now. 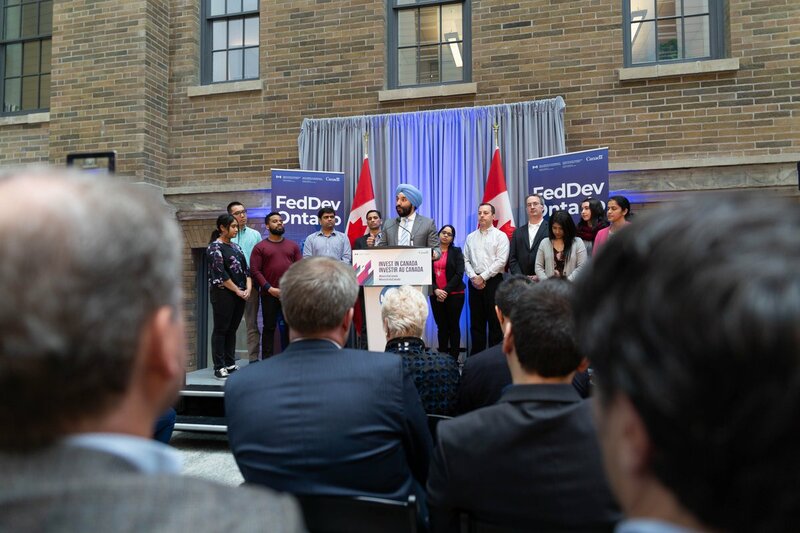 Big announcement this afternoon: @FedDevOntario is investing $52 million in MaRS, @Communitech and @Invest_Ottawa to help Canadian companies scale, growing both global tech businesses and a world-leading tech cluster. Toronto startup @swiftmedical CEO Carlo Perez explains how his company's tech enables clinicians to wave a cellphone around a wound and assess it. When MaRS Discovery District is mentioned in the news, Nudge.ai often sees topics like Video. If your conversation focuses on these topics, you’ll probably get MaRS Discovery District’s attention. When MaRS Discovery District is mentioned in the news, companies such as National Bank Financial, and Twitter are often also mentioned. These companies can serve as customer examples. Employees who are often in the news are usually open to starting conversations or exploring ideas. Nudge.ai's sales AI saw Yung Wu, Ilse Treurnicht, and Adam Spence from MaRS Discovery District recently mentioned in the news. Even a city as diverse as Toronto has representational challenges – specifically low numbers of female founders. MaRS Discovery District has announced it is rolling out two of new programs, SVX and the MaRS Talent Development Program. Toronto-based biotechnology startup Genecis was selected as the winner of BASF Canada's first Innovation Pitch Series. Genecis is developing a synthetic biology platform to convert organic waste into premium chemicals and materials. MaRS Discovery District announced today that Roy Kao has been appointed permanent Managing Director of MaRS Fintech. Roy has been interim leader for the group since November of 2018, and was previously a Senior Advisor on the team. “Roy has shown exceptional leadership since joining MaRS, and he has earned the respect of the fintech … Continue reading "Roy Kao Appointed Managing Director of MaRS Fintech"
Who in your network can introduce you to MaRS Discovery District? Nudge.ai finds the best pathway to reach contacts at this company.